For some reason I get these days where I want to challenge myself. Is training for a marathon enough? Nah. Let’s run outside for the first time in this heat with no hydration belt or backpack when the heat index is 99 degrees and we have a heat advisory. I didn’t really think about all of this until I began to run. 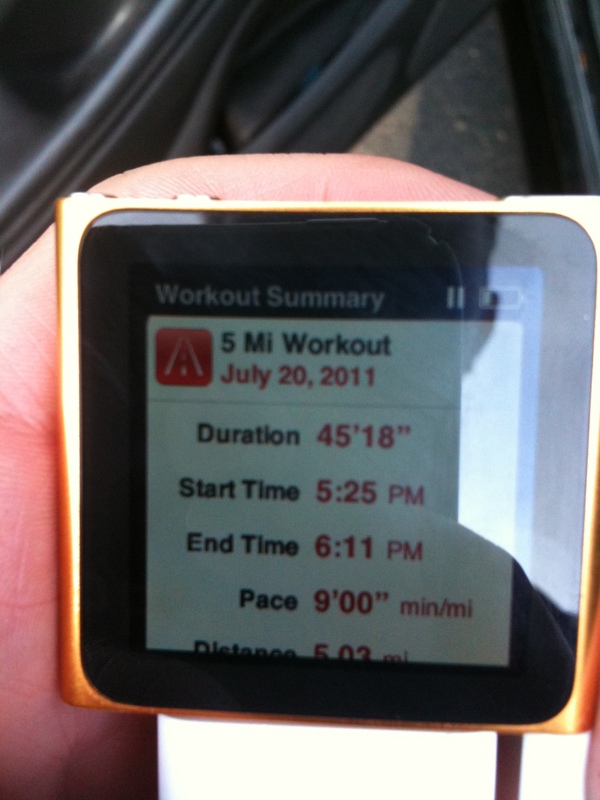 For 5 miles. So no wonder this run sucked. Even on my wonderfully shaded path in the park, it sucked. 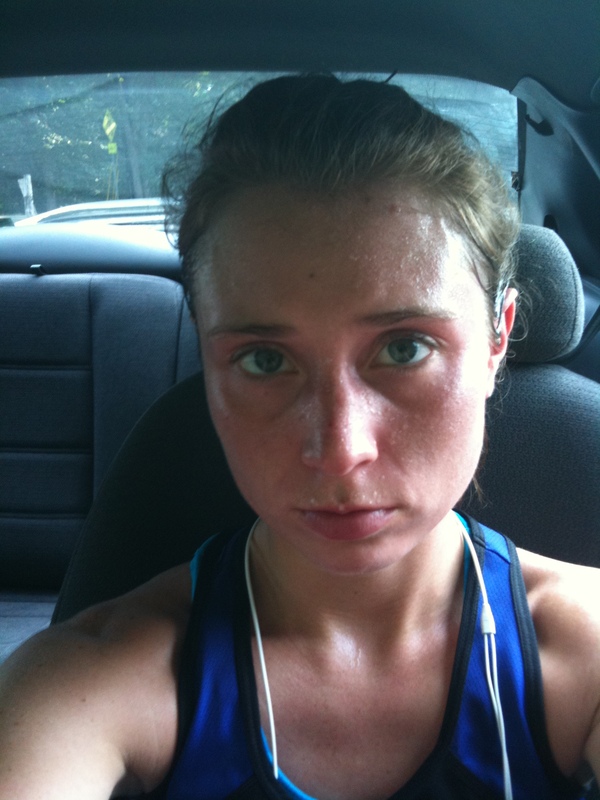 In fact, for the first 2.5 miles I run on a narrow path and it was so shaded with trees, I felt like I was suffocating. After that I went straight back to my car and chugged half a bottle of water. I definitely would have finished it..but I knew I would need it on the other side of 2.5 more miles. I even thought about getting back into my car and driving to the gym for the second half. Alas, back on the path I went. At one point I think I was at an 11:00 min. mile pace. Contemplating walking. Sweat pouring off of me. I felt like I wasn’t even lifting my legs, but somehow I was still moving. I know the warning signs of a heat stroke and I wasn’t experiencing any of those symptoms.. it was just SO HOT! But I did it. I finished all 5 miles. That doesn’t make me tough. I hate it when people run outside in this heat and think they are tough, most of the time it just makes them stupid. Today, I just didn’t want to run inside again and against my better judgment, ran outside. 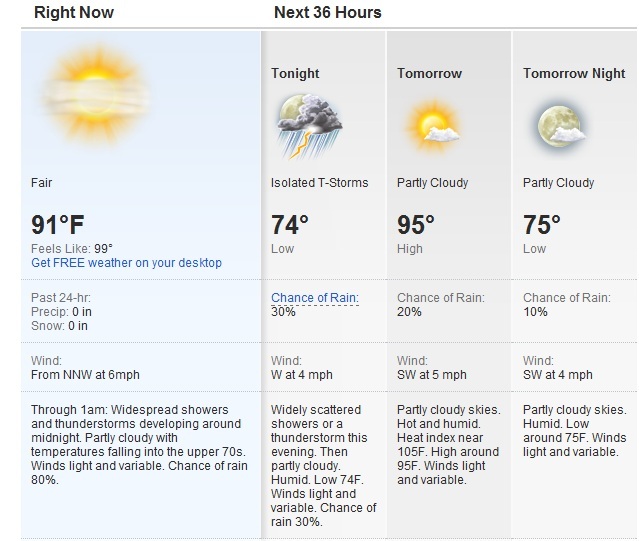 If you want to run outside do it in the morning or after 8pm when it has cooled down! Time to eat; with some salt to make up for all that sweat!